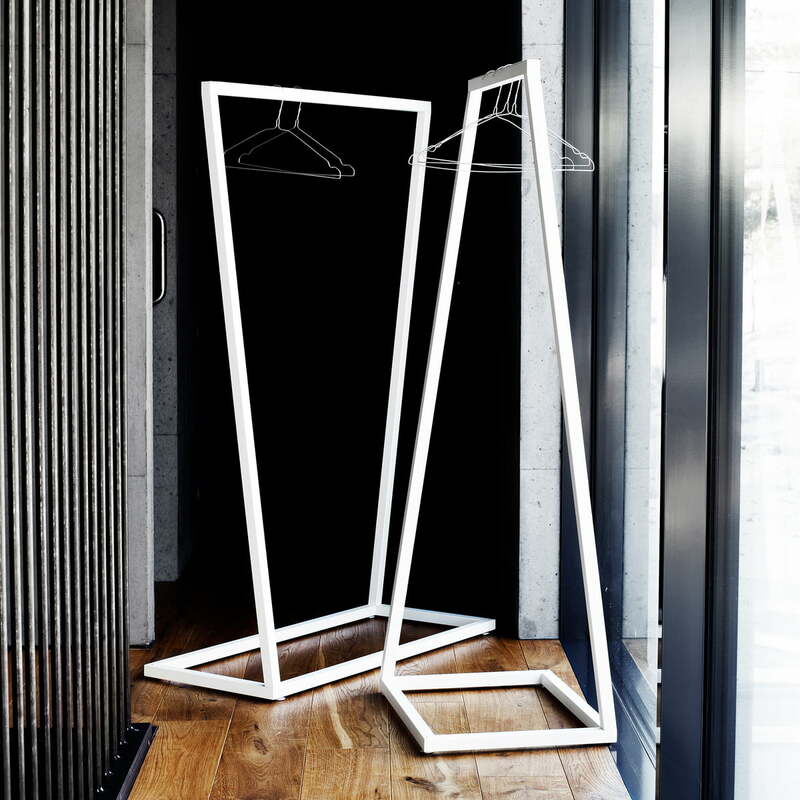 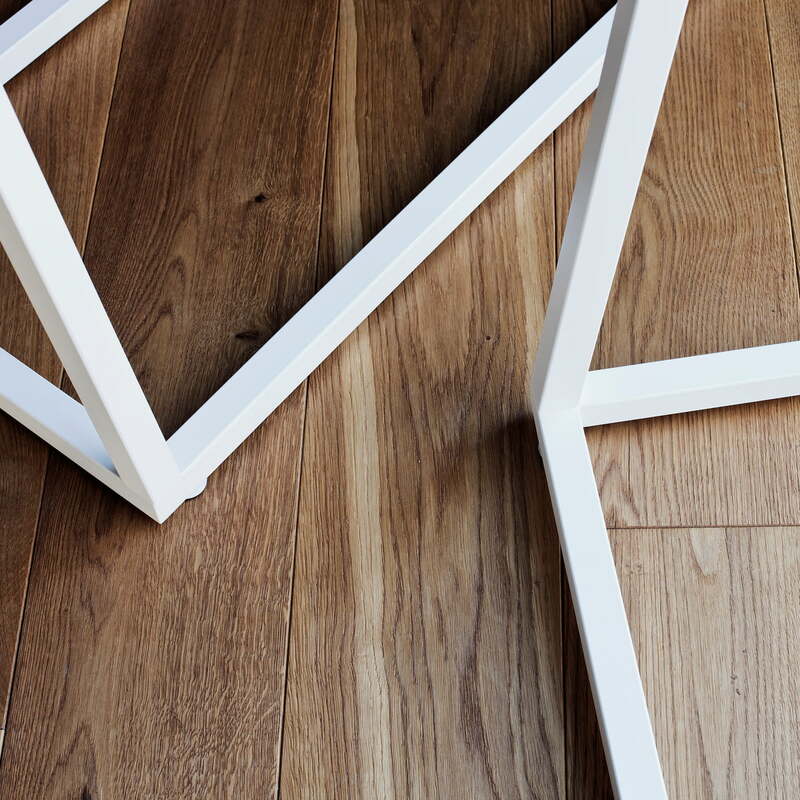 Lume is a modern minimalist coat rack by BeDesign. 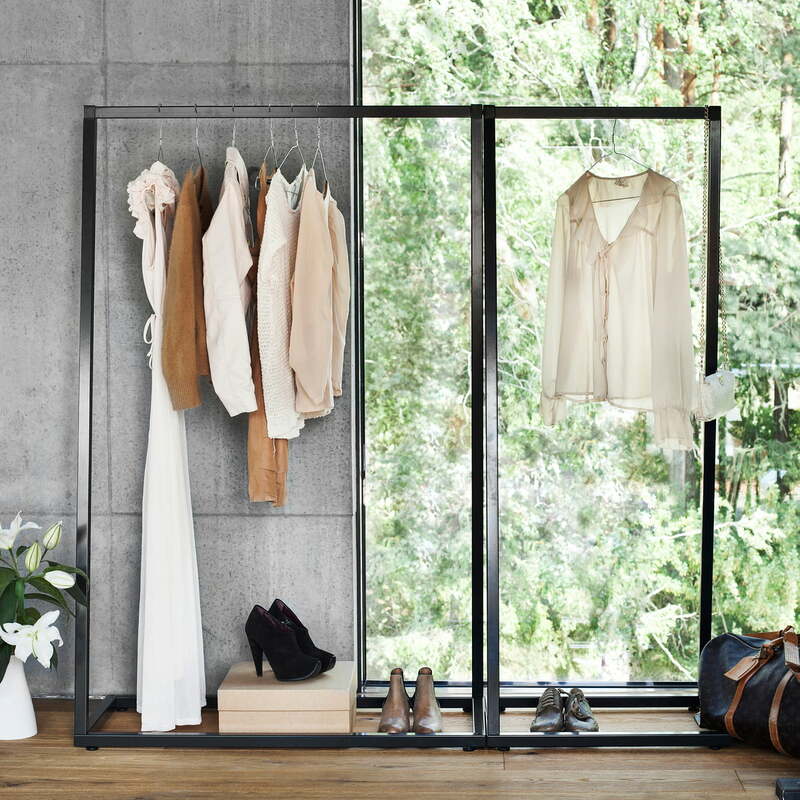 The metal clothes rack is perfect for the hallway or bedroom. 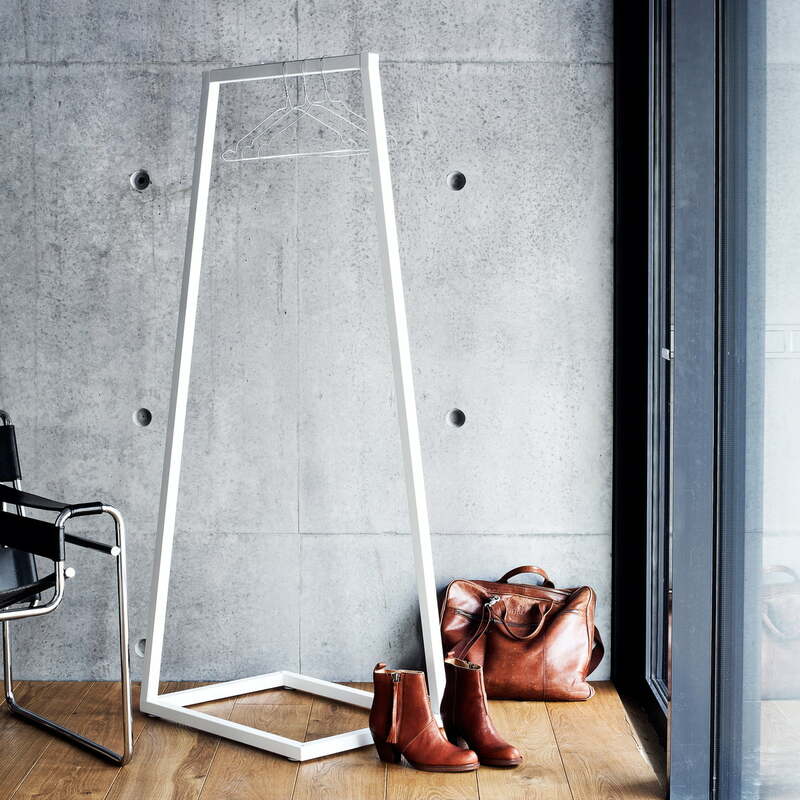 The filigree and sculptural metal frame is the reason why the Lume clothes rack looks gorgeous by itself or when combined with other hall stands as well. 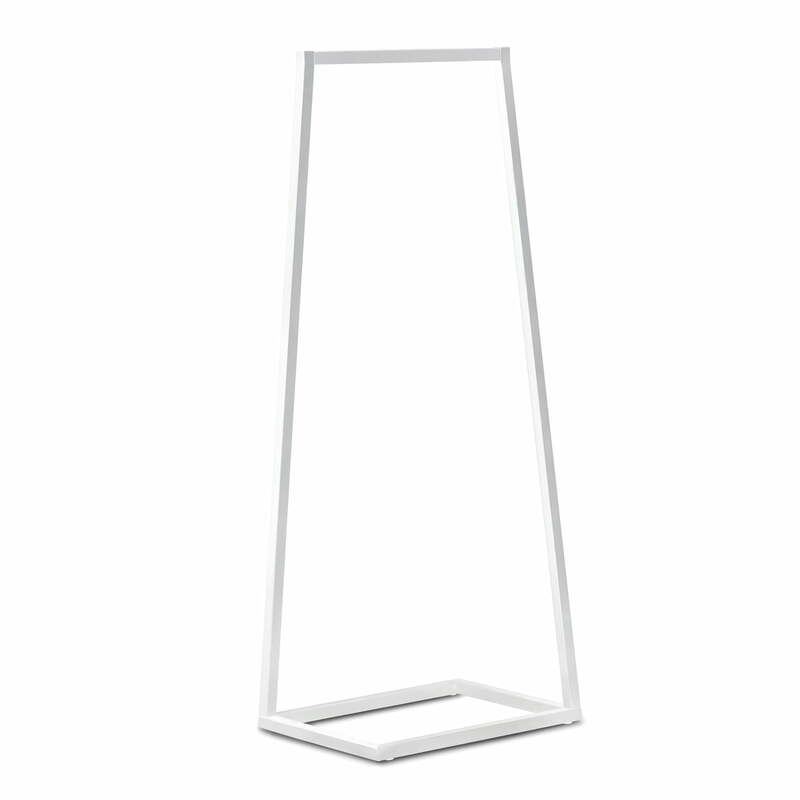 The profile reveals the special design of the coat stand, which holds a clothes rail that crosses the rectangular construction from one corner to the other. 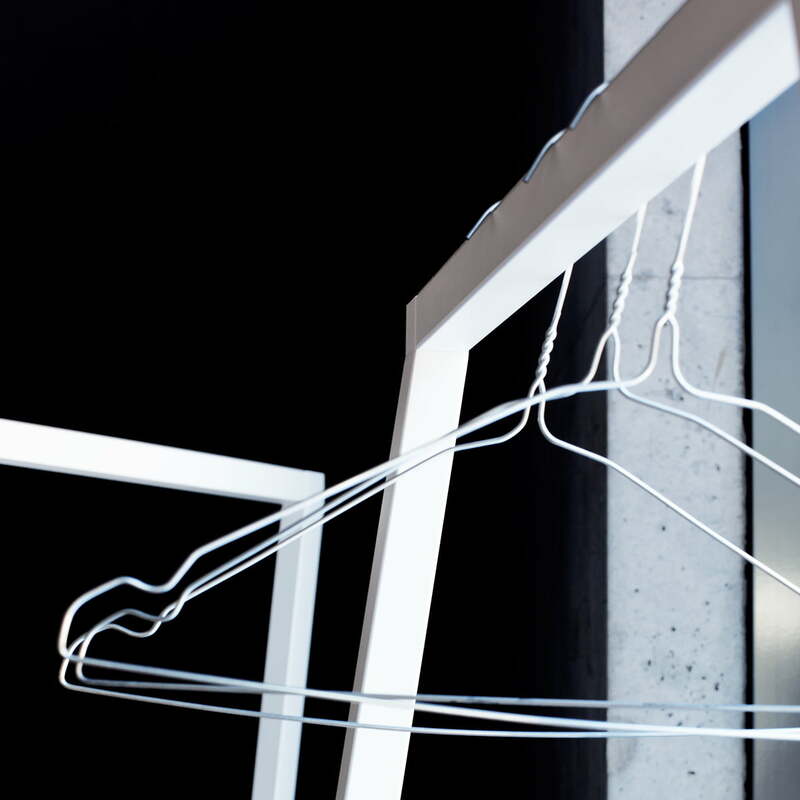 The elegant design of Lume is available in two sizes and colors.